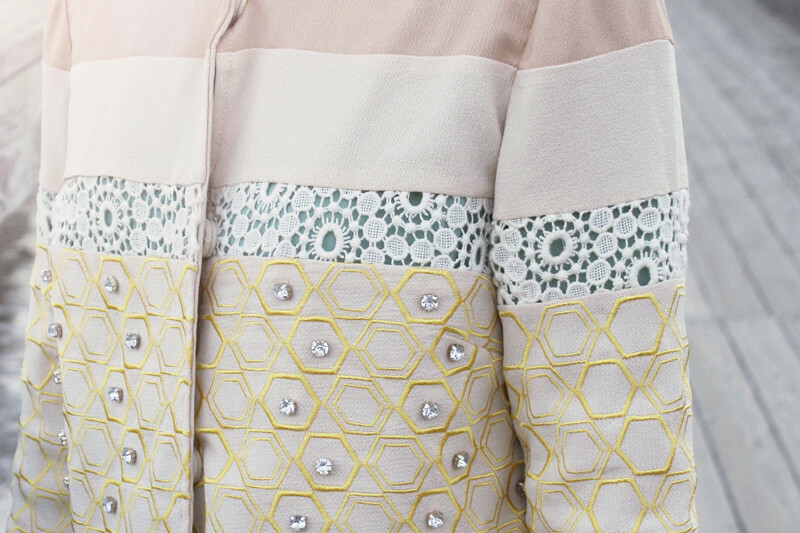 This is one of the most beautiful and delicate jacket coats I have ever seen. A mixture of crochet lace and embroidered honeycomb texture bedazzled with rhinestones in a vintage silhouette with paneling design. It is simply gorgeous. 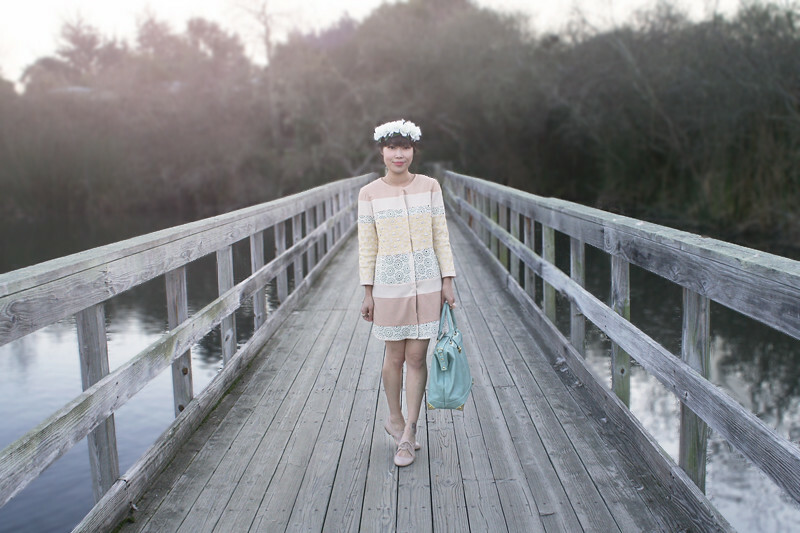 The colors too are subtly pleasing, panels of peach, cream, yellow, and mint looking a bit like layers of cake. Lace on lace, I paired this unique piece with a crochet lace shift dress, and topped with yet another flower crown handmade by me. 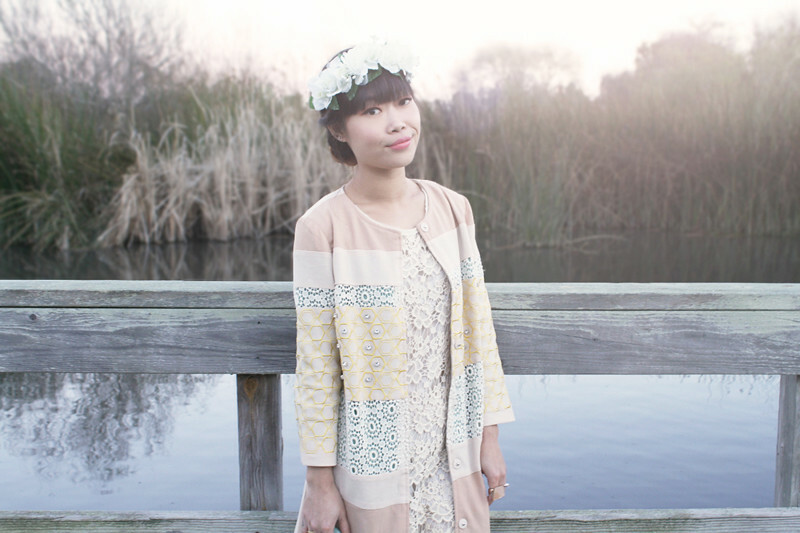 Crochet lace paneling long jacket c/o Champagne & Strawberry. Crochet lace shift dress by Lush from my work Sway. Mint oversize satchel by Nila Anthony from my work Sway. Vintage cut out oxford flats by Made by Elves from Etsy. You always have the best bags! That color is just so perfect!